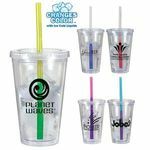 Our unique selection of drinking glasses offer large varieties for customization and personalization so you can make your logo stand out for any occasion. 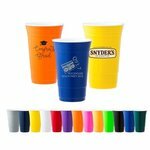 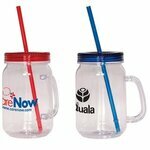 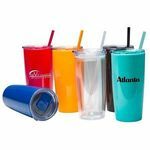 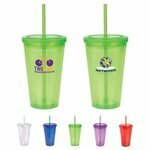 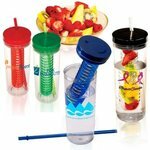 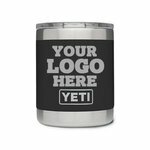 Some of the tumblers even allow you to mix and match different colored parts so you can create really unique promotional drinkware products that your clients, employees and customers will love and never want to get rid of. 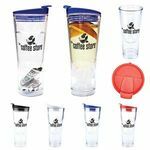 These custom drinking glasses are made of tough, durable materials and come in all sorts of styles ready to fit any logo or occasion. 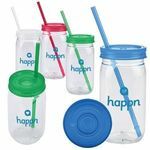 Many of the tumblers allow for maximum logo space with inserts, making your logo clear and noticeable to anyone taking a sip. 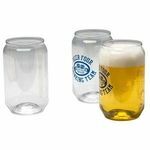 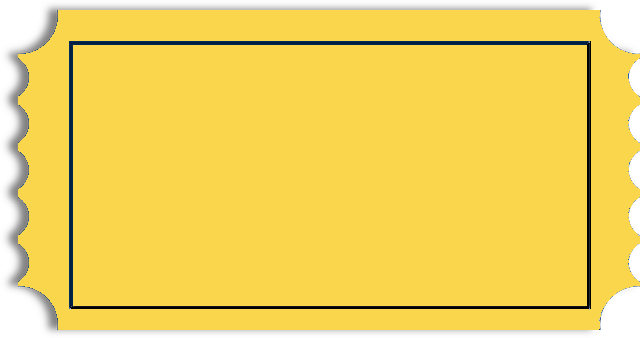 Pint Glass Plastic Reserv Can Shaped 16 oz. 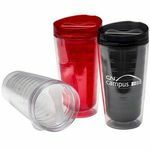 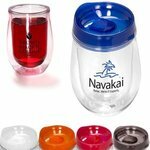 Travel Cup Acrylic 16 oz. 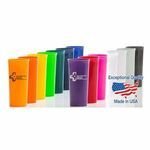 Travel Cup Custom Imprinted Captiva Double Wall Tumbler 22 oz. 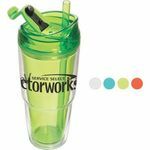 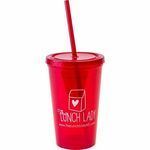 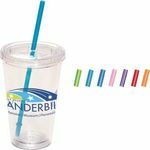 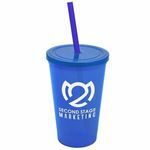 Travel Cup Custom Imprinted Tumbler with Mood Straw 16 oz. 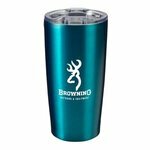 Travel Mug Custom Imprinted Verano Double Wall Tumbler 16 oz. 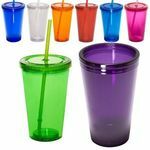 Drinking Glass Large Mixing Glass 20 oz. 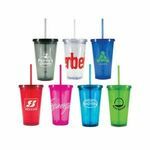 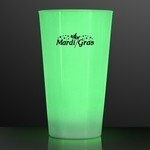 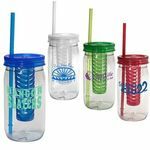 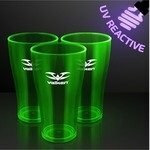 All of our Drinking Glasses products can be personalized with your company logo or a design of your choice.